Momentum is building as the Church reaches the midway point of the Open Listening and Dialogue phase of preparations for the Plenary Council in 2020. 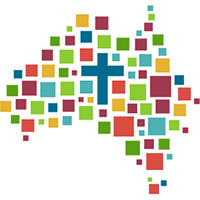 Facilitator Lana Turvey-Collins says hearing the voices of more than 10,000 Australians is a great start and she hopes that’s just the tip of the iceberg as the Church builds towards the Plenary Council sessions to be held in October 2020 and May 2021. Since the launch of the Plenary Council’s Open Listening and Dialogue stage at Pentecost, individuals and groups – large and small – have shared their stories of life and faith. By the end of September, more than 10,000 individuals had contributed their responses. “This is an encouraging sign of engagement and also a sign of hope about how open-hearted people are,” Ms Turvey-Collins said. “This initial level of response shows that there are many people from across the country who care deeply about the future of the Church in Australia. Now every person needs to be proactive and reach beyond our comfort zones and have conversations with those people who may need someone to let them know this is happening. Trudy Dantis, director of the National Centre for Pastoral Research, said momentum has been building in recent months, with the total number of responses almost doubling each month. She said the vast majority of responses had unsurprisingly come from Catholics, but noted that a number of responses have also come from other Christian communities, including the Anglican, Baptist, Uniting, Pentecostal, Lutheran and Orthodox churches. A small number of responses had come from people who self-identify as “no religion”, as well as people from other faith backgrounds. “Everyone’s experience of faith and the Church is unique and it’s important that the Plenary Council hears the voice of as many people as possible,” Ms Turvey-Collins said. Dr Dantis said responses have come from many different parts of the community, including youth groups, aged care homes, Catholic agencies, religious congregations, men’s groups, women’s groups and families. There has also been a good geographic spread, with stories emerging from all parts of the country. Ms Turvey-Collins said of the 10,000 people who have considered the question “What do you think God is asking of us in Australia at this time?”, about 1000 of them were people under the age of 30. “That’s a great start, and I am looking forward to hearing the voices and stories from the young people in our Catholic schools who have big questions about faith, the Church and life in Australian society. There are some wonderful initiatives being planned for term 1 next year,” she said. Stories from around the country have outlined creative ways that individuals and groups are ensuring their voice helps shape the Plenary Council agenda. “A number of wonderful Catholic secondary school students are visiting aged care communities to have an inter-generational conversation about God, faith and life,” Ms Turvey-Collins said. The Open Listening and Dialogue stage of the Plenary Council runs until Ash Wednesday 2019, but Ms Turvey-Collins said that will not mark the end of the engagement with the community. Dr Dantis and her team will then analyse the stories and responses that have been shared and, using best-practice research techniques, will identify the emergent themes. The stories and responses grouped into themes will be considered and examined more deeply using a theological reflection method during a period of “Thematic Dialogue and Discernment”, which will commence in mid-2019 as the process builds towards the Plenary Council sessions in 2020 and 2021. More information can be found at the Plenary Council website. This entry was posted in Plenary Council, Uncategorized on October 17, 2018 by ACBC Communications.